Tablet in a Minute: The Official HP TouchPad Release Date! July 1, 2011 will be the official release of the HP TouchPad Wi-Fi version in the US and then followed by many countries days after. The TouchPad will be available in a 16GB version for $499 and a 32GB version. 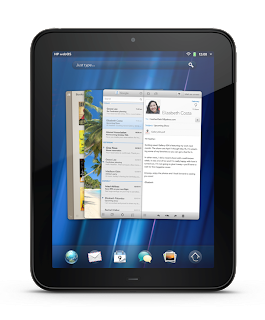 This device is unique because of its WebOS operation system. The tablet features true multi-tasking with the apps staying open in card views. You can easily swipe between apps and also swipe them up and away when you are not using them. 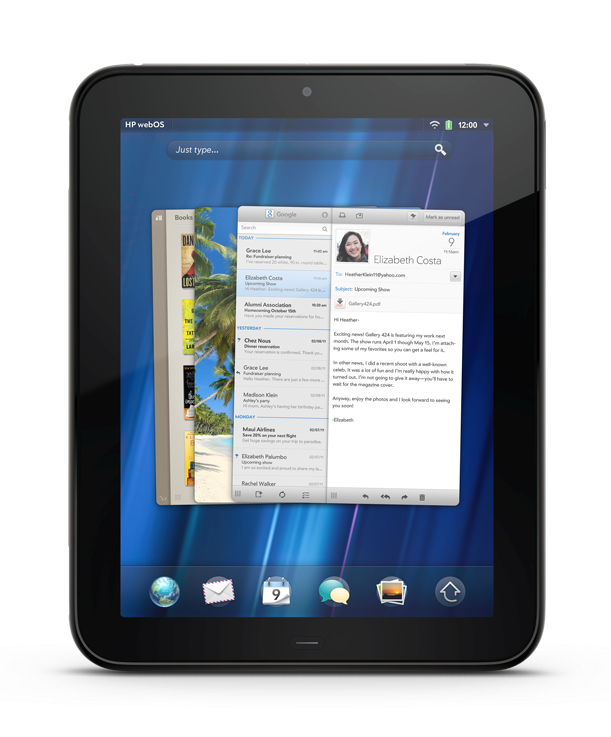 Synergy is a main function of WebOS that takes all your information and pulls it together. If you have a Gmail contact and Facebook contact that are the same, it will find them and match them together. The TouchPad will also work well with other WebOS devices allowing you to take text messages from the tablet and even answer voice calls. HP also plans to team up with AT&T to release a connected version later this summer. The Official HP Palm Blog: HP TouchPad: It’s a date!